Women at work. All photos by David Hagerman. On an 18,000-kilometer drive around eastern Turkey, Robyn Eckhardt and David Hagerman, the duo behind (one of our 24 Best Travel Blogs and Websites 2015), stumbled upon a full production of women milking sheep and goats for cheese-making season. VAN, Turkey – We heard it before we saw it, a high-pitched whine originating from somewhere a mile or so up the road. On a cloudless evening, Dave and I were driving back to Van after a day exploring back roads to the south of Lake Van. It was mid-June, the start of yayla season, when villagers take their sheep and goats — or send them with hired shepherds — to high pasture. Earlier, descending from a craggy peak where we'd hiked through new grass and skirted clumps of leftover snow, we saw signs of a shepherd's camp: Upturned milk pails left to dry on the banks of a stream. Further on, we pulled off the road to give way to an elderly man, his wife, and their son leading a hundred or so sheep, a few goats, and several dogs to their summer camp. As we dropped to lake level there was a hum, then a whine, then a piercing vibrato that shimmered on the air. We stopped the car and stared hard out at the foothills across the plateau. Ever so gradually, small shifting shapes came into view. We realized that we were hearing the bleets and blehs of many sheep and goats. After picking our way across a boggy marsh we were in the thick of it: sheep and goats and a dozen beautiful loping , and what seemed to be an entire village, all assembed for the task that bookends the days during cheese-making season. Splashes of green, purple, red, yellow and blue paint on the animals' backs told to which woman they belonged, but the milkers kept up a chorus — Mine! Mine! Here! Here! — as sheep and goats streamed through the chute. They clamped their fists around legs and haunches and tails, roughly pulling their animals to them and bringing them close over pails set between their ankles. A few deft squeezes of each teat and it was over, the animals jumping and springing away to their escape. When a woman ended up with a sheep or goat not her own, she released it with a shout to the three young shepherds standing at the tunnel's exit; it was their job to wrestle the poor animal back to the starting gate. 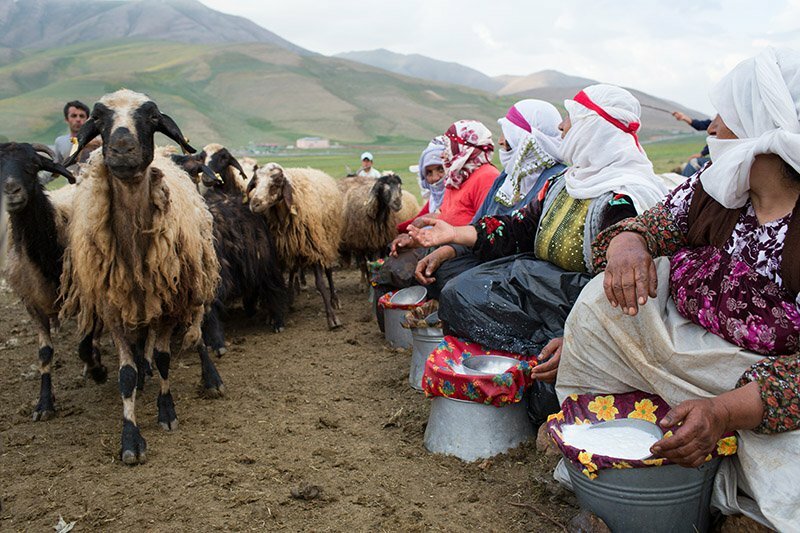 Milking is exhausting work and in most eastern Anatolian villages it's done by women. As these women worked, their daughters, daughters-in-law, sisters, and elderly mothers stood behind them, ready to pour the fresh milk through cloth-lined syphons into five-liter metal cans. Pretty head dresses worn by the women. The milkers' necks were thick, their shoulders broad, their wrists and forearms hard and muscled. Their hands were black from the mud beneath them and the dirt and oil on the animals' fur. They sweated and grunted with their labors. They joked and laughed and razzed each other too. Each day during cheese season, the muhtar (village headman) told me as we stood watching this incredibly physical endeavor, the village's combined animals — 1,200 to 1,300 in all — yield a little over 250 gallons of milk (sheep produce much less milk than cows, and their milk is higher in fat). 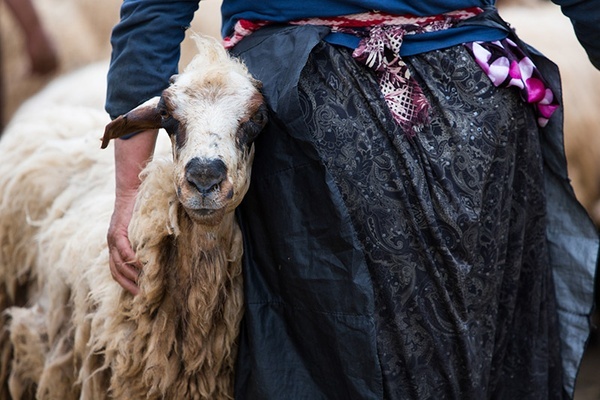 Each woman milks her animals twice a day, then carries the milk across the marsh to the village where, with the help of other women in her family, she turns it into an especially prized version of otlu peyniri, Van's famous sheep's milk cheese. 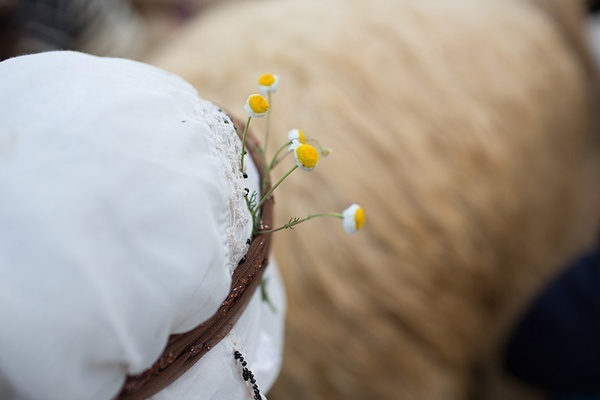 A little goat milk is mixed in, and it's threaded with pickled wild fennel, onions, and other leaves and shoots plucked from the foothills that rise behind the milking ground. This story was originally published on and was reposted with permission. Robyn is a food and travel journalist based in Penang, Malaysia. She and her husband, David, blog and photograph at EatingAsia, one of Gentedimontagna's . You can follow her on and at @EatingAsia, and David on at . She travels for deliciousness.